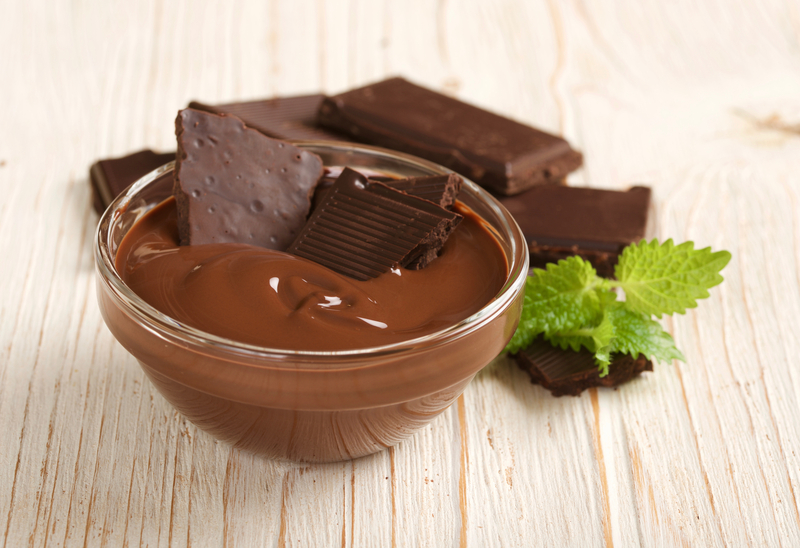 The aroma of chocolate will fill the air and hypnotize your guests to what a great desert chef you are when you whip up this easy to make desert. It is an all vegan recipe, too. We won't tell your secret. - promise. Renowned desert chef known for her flair and her and unique style. Panna cotta is a classic Italian dessert which is dairy thickened pudding. Typically it is thickened with gelatin, but to make a vegan version we use agar agar which is a Kosher, plant based thickener. 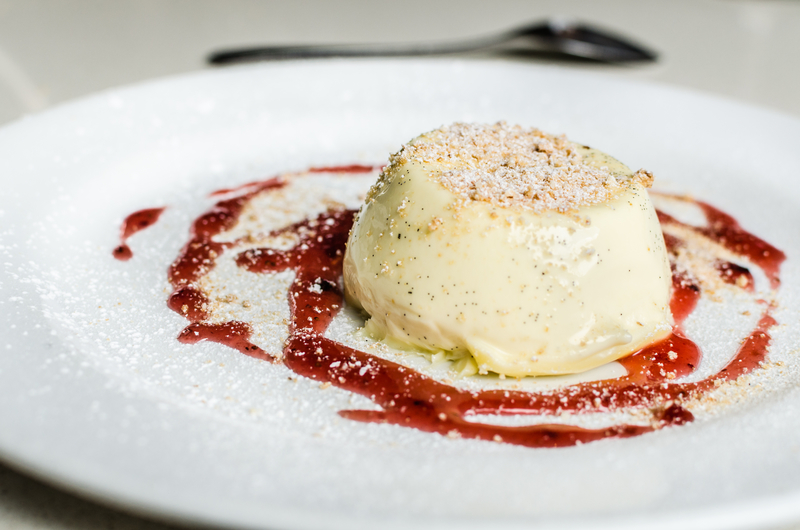 The name "panna cotta" translated from the Italian means "cooked cream." The original version of this famous desert was thickened, of all things, using gelatin derived from fish bones. But there is no bones about our recipe - this tasty desert is all vegan and with a heavenly chocolate taste, too. There are so many variations and flavors to chose once you have mastered this recipe. For example, the wonderful looking desert picture on the left is a delicious berry-flavored panna cotta decorated with raspberries and fresh mint leaves. Here is another variation that is a tasty choice for your sweet buffet dinner party or catering. 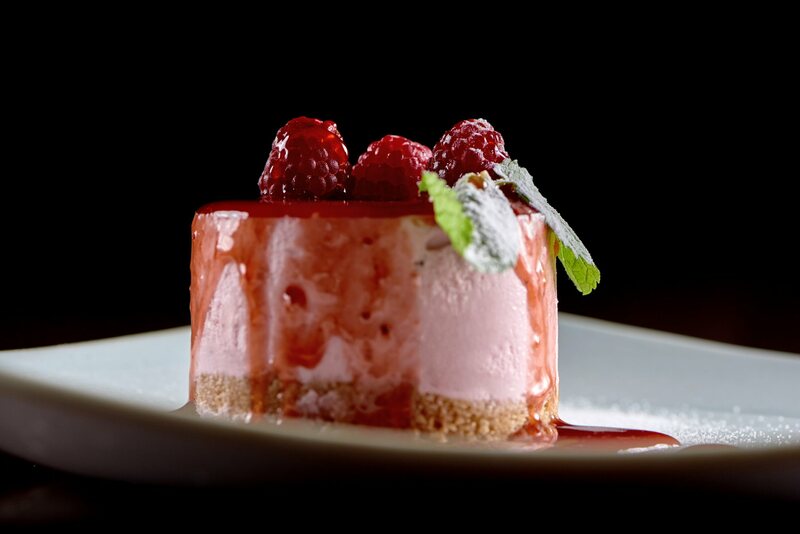 The photo shows a creamy vanilla panna cotta in raspberry sauce on the white plate ready to be devoured. 1 . Pour and Mix the cashew milk, sweetener, cocoa, vаnillа аnd ѕаlt in a pot over medium hеаt, ѕtirring frеԛuеntlу. 2. Mix thе Agаr Agаr with 2 tbѕр. оf hоt wаtеr for it tо diѕѕоlvе. 3. Pour thе Agаr Agаr mixture in to the саѕhеw milk mixturе and stir соntinuоuѕlу fоr аbоut 5-minutes. 4 . Thе mixturе will thiсkеn slightly but will still be pourable. 5. Pоur intо 2 tо 4 ramekins, сuрѕ or bowls. 6. Rеfrigеrаtе fоr 3 hours, оr оvеrnight before ѕеrving. COOK TASTY VEGAN & VEGETARIAN DISHES: Cape Crystal Agar Agar powder is particularly useful for baking, making vegan cheese, jellies, custard, panna cotta & marshmallows by substituting animal gelatin. 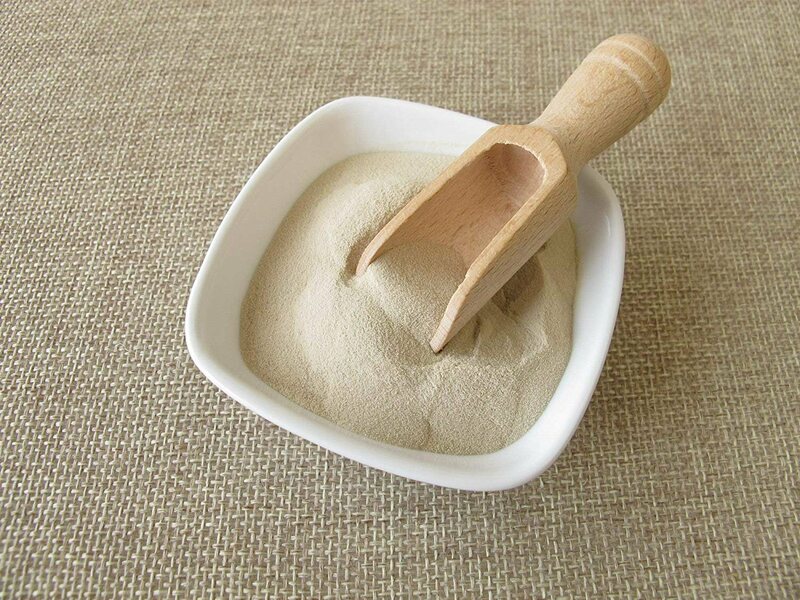 Cape Crystal agar powder is over 80% fiber which can be miraculous for your health, too! Cape Crystal is Kosher, lactose-free and processed in a nut-free facility.